» A Truce in the War on Drugs? Part II. « A Truce in the War on Drugs? Part I.
Gary Mayor Karen Freeman-Wilson has already helped to move the drug court movement in Indiana forward. 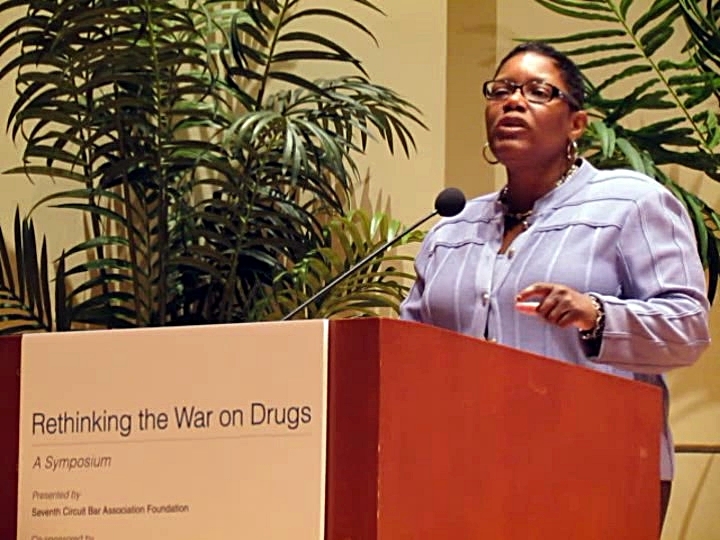 In an exclusive interview in mid-February this year, Freeman-Wilson, a former chief executive officer of the National Association of Drug Court Professionals based in Washington, D.C., said she had direct involvement in a drug court in 1996 and that the drug courts were created because the criminal justice system is “not working,” imposing long sentences on criminals with low-level drug offenses and alcohol, prescription or drug addictions. “Any addicted offender ought to have an opportunity to participate in drug treatment court,” she said. “To receive rehabilitative services and have an opportunity to be involved in a program “that is much more sustainable than necessarily sentencing them. “And the reason that I say that is that whether you’re violent or nonviolent, chances are, in the absence of capital murder or some other heinous crime where you might get a life sentence, you’re always going to get out. And unless you address the underlying issue of addiction, which is what drug courts do, then you’re likely to offend,” she said. Freeman-Wilson said drug courts are basically for all non-violent criminals who committed low-level offenses like theft, robberies or other nonviolent crimes and have addictions to alcohol, prescription or street drugs. “And essentially what you do is, instead of just traditionally putting people through the system saying you get probation or you get jail, drug courts form a team around that offender, and they require that person to be involved in drug testing, community service, to come back every week or two or every month, so that they can be held accountable on a periodic basis,” said Freeman-Wilson. Freeman-Wilson said treatment is unlikely to work unless there’s someone, such as a judge and a drug court team as additional support. Freeman-Wilson, a former presiding judge in the Gary city court, said she also established a successful restorative justice program for young males who didn’t have any form of drug addiction and who were charged with low-level non-violent drug-related offenses. Mayor Freeman-Wilson said that there have been any number of drug courts in Indiana that have been established recently such as the Justice for Veterans program, which focuses on addicted veterans who have been diagnosed with PTSD and other mental health disorders and are in need of housing and other supportive services. Watch Mayor Freeman-Wilson talking more about the potential benefit of drug courts here: http://chicagodrugwar.info/?p=700. U.S. Chief Judge Ruben Castillo (Northern District of IL), former vice-chair of the U.S. Sentencing Commission, is also in favor of the use of drugs courts. In an exclusive interview earlier in the year, Judge Castillo described himself as “a big believer” in restorative justice programs and said probation and more drug treatment options should also be available instead of imprisonment. “We can supervise their behavior without having them in a custodial setting. I think it’s proved cost effective. It would save us money,” said Castillo. “I really believe that we should be using some of those principles a lot more: That you just can’t lock up someone, throw away the key, put them in a bad environment, some times with people with harder criminal records, where they come out with a lot of resentment and a lot of problems with very little adjustment tools to come back into society. “We should take advantage of the fact that they’re in the criminal justice system,” Castillo added. “To have them talk not only with us in a conversation.…What I’ve found as heading up our reentry court is if we can get offenders all together to talk in group settings about their particular problems, I think we reach very cost effective ways to treat the root causes of what brought them into the criminal justice system. “I’ve seen just very real problems – simply things like having a driver’s license, effective employment, affecting their depression – then you have re-occurring drug use. And a lot of times, for some judges, they feel the answer is re-incarceration. Which I think we need to break that cycle,” he said. In his testimony to the U.S. Sentencing Commission endorsing a proposed change to the Federal Sentencing Guidelines on March 13, 2014, U.S. Attorney General Eric Holder confirmed U.S. Sen. Durbin’s remarks that the federal government was also experimenting with drug courts as well as other diversion programs for nonviolent, low-level drug offenders with addictions, including veterans. 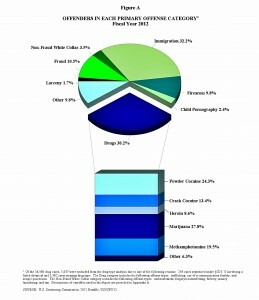 Holder said that one in 28 American children currently has a parent behind bars. And he added that state and federal governments spent a combined $80 billion on incarceration during 2010 alone. 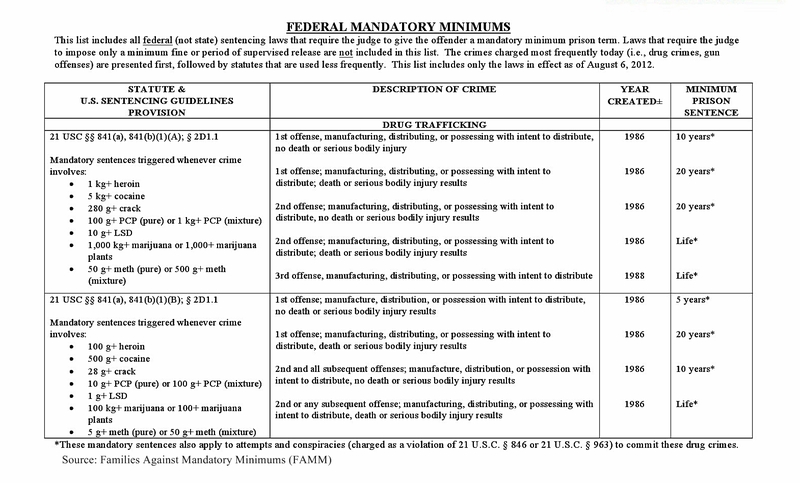 And of the more than 216,000 current federal inmates, Holder added that nearly half are serving time for drug-related crimes. In early April, the U.S. Sentencing Commission voted unanimously to reduce the sentencing guideline levels for most federal drug trafficking offenders and all types of offenses. And if Congress does not act to disapprove some or all of the amendments, they will go into effect Nov. 1, 2014, the group said. Read the full U.S. Sentencing Commission announcement about the voting changes at:http://www.ussc.gov/sites/default/files/pdf/news/press-releases-and-news-advisories/press-releases/20140410_Press_Release.pdf. Read the Attorney General’s full speech to the U.S. Sentencing Commission on March 14, 2014, at: http://www.justice.gov/opa/pr/2014/March/14-ag-263.html. U.S. Attorney Zachary T. Fardon, newly appointed to the Northern District of Illinois, expounded further on the Smart on Crime federal initiative and gave a full report on illegal drug activities plaguing the Chicago region and what his office has been doing since the new crime policy was launched, at the “Rethinking the War on Drugs” symposium at Northwestern Law School on Feb. 20, 2014. Watch Fardon’s full speech here: http://chicagodrugwar.info/?m=201403&paged=2?m=201403. The first drug court was founded a little over 20 years ago in 1989 by the Miami-Dade Drug Court, which “sparked a national revolution that has forever changed our justice system,” according to the National Association of Drug Court Professionals. 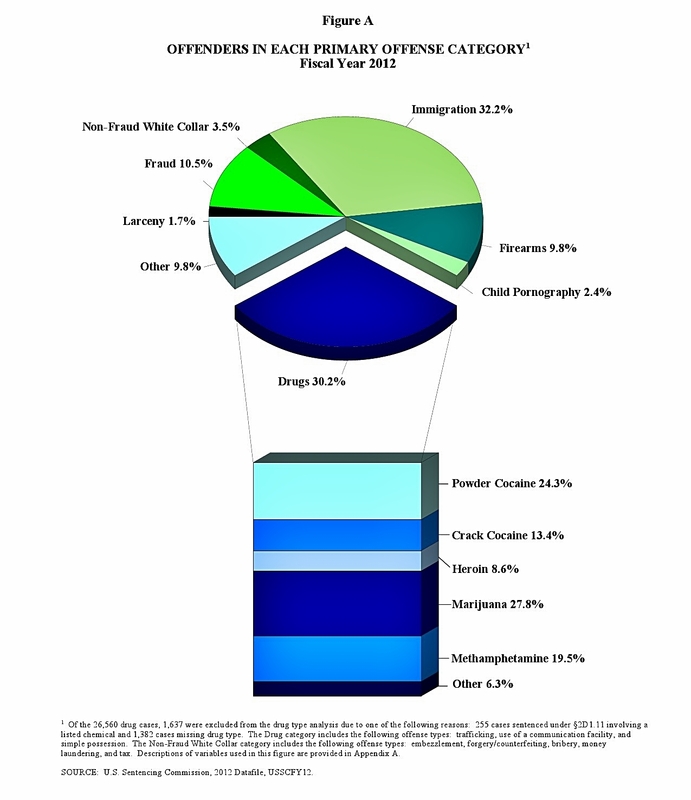 Drug Courts also “provide more comprehensive and closer supervision than other community-based supervision programs. And are six times more likely to keep offenders in treatment long enough for them to get better,” according to NADCP. 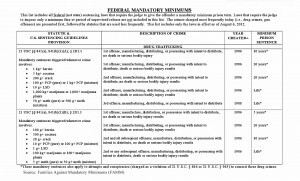 A list of current local and statewide youth, adult, family, specialty and veteran drug courts can be found here: http://www.illinoiscenterofexcellence.org/data/printer-friendly-courts.cfm. This entry was posted	on Saturday, June 14th, 2014 at 6:12 am. You can follow any responses to this entry through the RSS 2.0 feed. You can leave a response, or trackback from your own site.